This Fall I went to the National Academy of Sports Medicine (NASM) OPTIMA conference in Scottsdale, Arizona. This is the second year I’ve gone and it really just gets better every year. I was blown away but not only the quality of the keynote speakers and the high quality educational content of the sessions (my brain felt like it needed a whole day to “de-frag” (for us older generation) or sort out all the information that had been stuffed in there in 2.5 days) but in the quality of the people attending (not an ego to be found! Despite being surrounded by all kinds of trainers, from the super-fit to the ordinary, people -next-door types, everyone was SUPER friendly and everyone was there to learn, no competition among us!) and the vendors! Last year I went for the first time and didn’t have the chance to go to the exhibit hall, this year I’m glad I did, and I’ll expound upon why in a minute but for now, if you’re a personal trainer (especially a NASM-CPT) you NEED to go to OPTIMA. Not only do you get 2.5 days of hands-on learning and CEUs, you get to network and make friends with SO many great fitness industry people! But this isn’t about OPTIMA, this is about CHAGA. So I was perusing the conference hall and I came across these guys in the corner. There were 3 dudes in the booth, 2 pretty chill, 1 extra hyped. I totally got on board with the extra-hyped dude (that’s me too!) and asked what is this stuff? Well, extra-hype dude (his name is Doug, btw) was MORE than delighted to tell me all about this stuff. 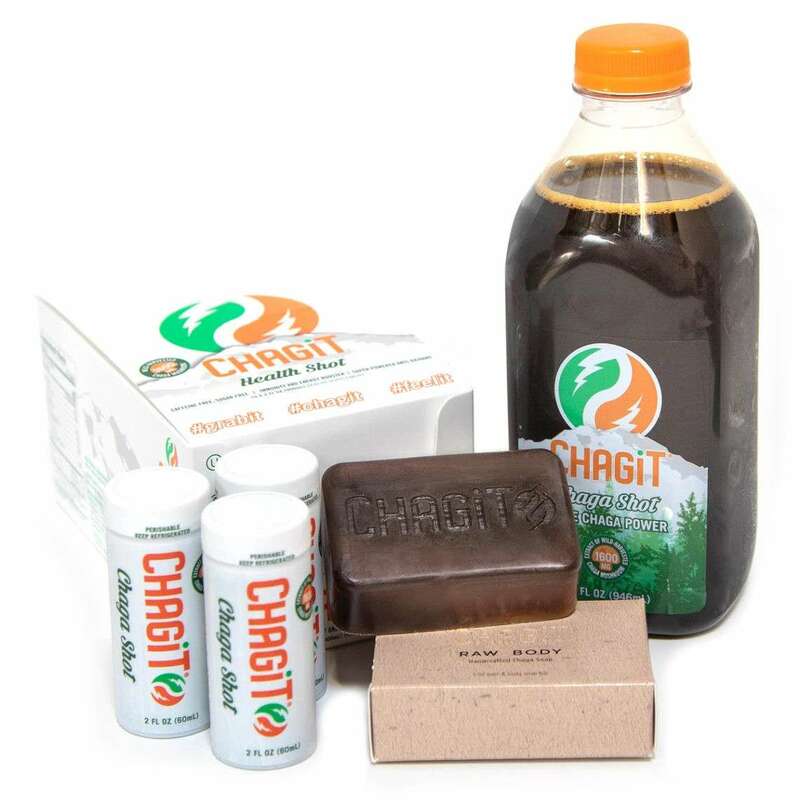 Chagit, is a product derived from the Chaga mushroom. It grows WAY up North of the Arctic cirlce where it gets like, -30F. There are little to roads to get there and these guys have to go harvest these MASSIVE mushrooms off the trees only during certain times of the year. There was a chaga mushroom there that the brought with them…I didn’t see it before, because it looks like a giant black rock, feels like it too. It’s super dense and heavy and rock hard. Not what you’re thinking of when you think of a mushroom. Ok, so these things grow in the middle of nowhere, where it’s difficult to get to them and they have almost magical properties….right. Sounds like a potion made of unicorn tears, havested by Swiss virgins on the 3rd full moon of the month…..but read on. So I am skeptical. I ask nerdy questions. Doug points to the 2 super-chill guys in the booth – one is a botanist…the other, I forget (sorry!) but botanist stood out to me and that’s what I remembered. SO I said, ok, look, I have a 100 mile bike ride coming up next week, it’ll be my second of the year, third ever in my life and the other two I struggled big time, will this help? Doug was all over it. “Yes, absolutely! Take one every day leading up to it, day of take one right before you go out, then dilute one in your water bottle and sip on it during the ride, then take one right after” at which the botanist chimed in and said “you don’t need the one after, that’s a little overkill”. So, they gave me a couple samples. I was still a little jet lagged from the trip, sleeping in unfamiliar territory, stressed, eating strange food and brain on overdrive. IMMEDIATELY I got a rush to the head of …..oxygen?? IDK what it was but there was definitely something going on. I also don’t know how to explain this exactly but I felt my higher than normal levels of inflammation going down. (from overtraining on my bike, traveling and poor food choices, my knees were not happy and I felt….puffy). And you know what? I thought more cleraly and suddenly, caffeine sounded like a bad idea. I did it the next day, too. Same results. Went back and said I HAVE to have a box. Took it home, took one every day. The following week up to the ride, I tapered my training, upped my veggies, rest and water like I would normally do and then added in a Chagit shot every day. The day of the ride, I was excited but a little nervous because my bike fit was still not quite right and I was worried about my knees. I did what Doug said and took off. At the first rest stop I adjusted my saddle and again at the top of the next hill and BOOM! I found my bike fit! I had no extra caffeine that day, and it was still a long ride at 5 minutes under 9 hours, but you know what, when I got to the end I was almost a little sad it was over because I felt like I could keep going for another 15-20 miles at least! AND THIS WAS AFTER 7 HOURS OF RIDING SOLID! Even if you’re not a cyclist, do you see the main differences? The heat was definitely a factor in the first one, but it was mostly flat, I should have gone much faster and finished so much quicker. The October ride, I can’t believe I averaged that speed and the imporant thing? I had never accumulated more than 3555 in one ride, I TRIPLED my elevation, and still beat my total time by 5 minutes AND felt like I could keep going!!!!! Ok, so I’m sold at this po;int, but I’m about to run out and wonder, is this placebo? So I let myself run out of Chaga. At this point I’ve been taking it every day for almost 3 weeks solid. What did I notice? 3) energy dropped and I started looking for caffeine and energy drinks again. So I talked to Doug and he laughed; he told me that mine was not an abnormal experience. That they support a lot of Tough Mudders and Spartan races and that it is very common for people to hit their best times, make PR’s etc. only by using this product. I can vouch for that. I changed nothing else and couldn’t believe how good I felt. So, what did I do? I decided I can’t be without it, didn’t want to be without it, so I signed up for their 360 program which gets it delivered to my door every month. Check out the other benefits, and then see if it’s something you want to give a go. The building blocks of life. Chaga has a complete essential amino acid profile with the exception of isoleucine. Chaga has 29 different beta-glucans. They help activate the immune system, stimulate the production of white blood cells as well as optimize the immune system and modulate its activity. Betulinic Acid is an extremely potent triterpenoid. 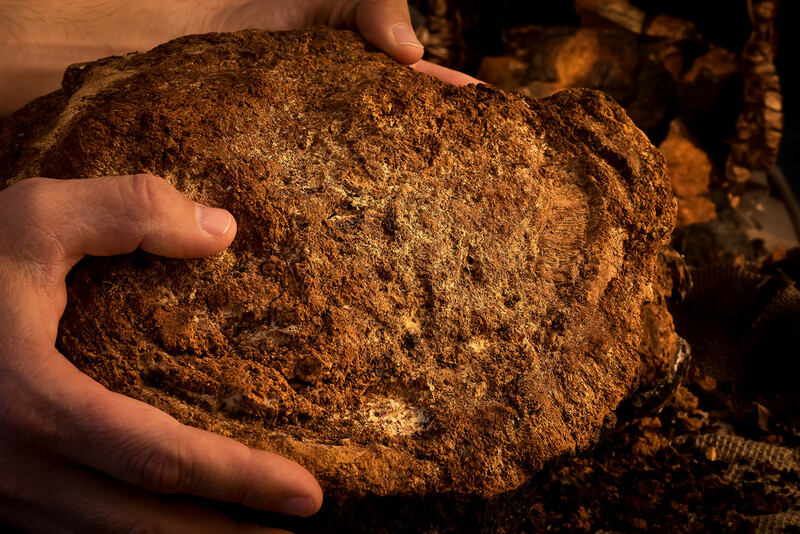 Chaga is the only bio-available source ever discovered. BA has been shown in many studies to have a very positive effect against several forms of cancer. A precursor to Vitamin D, ergosterol is a potent anti-fungal compound, with added benefits for skin and hair. Found only in Chaga, this natural steroid has major benefits against inflammation as well as other ailments. Chaga is the highest source found in nature. Melanin protects and enhances human skin, hair and eyes to promote a youthful appearance. It has a positive influence on the nervous system to help maintain mental health and stability. Help to stabilize blood sugar and fats, reduce insulin resistance and lower inflammation. Can help to reduce platelet clumping and buildup of plaque in arteries. Can work to slow the onset of dementia and help reduce the risk of Alzheimer’s. Highest available source of the most potent anti-oxidant, Super-Oxide Dismutase. Liver cleanser that protects cells and genes from mutation and promotes longevity. High in Vitamins B2, B3, D2 and K1, which are essential for healthy skin, bones and teeth. These powerful adaptogens can improve immune system performance, help lower LDL cholesterol and blood glucose levels and act as anti-inflammatories to fight pain from injury, exercise and arthritic conditions. Research continues into the amazing effects of the chaga mushroom and why it is so beneficial to living a healthy life. But the best way to find out what chaga does is to experience it for yourself! Could not agree more! So click on any of the links in this post, or you can purchase it in my store, but you should definitely try it for yourself. Be it pre or post workout, to increase your endurance on stage, clarify your thinking, control inflammation, get deeper sleep, clearer skin or anything else, what do you really have to lose?